If there were a treasure map of Dartmouth College, then the X would certainly mark the spot of Rauner Library — a treasure trove with historical riches abound. Every year, students may elect to participate in an alternative spring break trip to Washington D.C., organized through the William Jewett Tucker Center. Humans have come a long way to arrive at this point of history, in which human expansion and activity has altered the course of the world’s climate. Just before last winter term, Ricky Taboada ’19 cofounded a company called Roden AI with his friend, Tyler Burnam ’19. 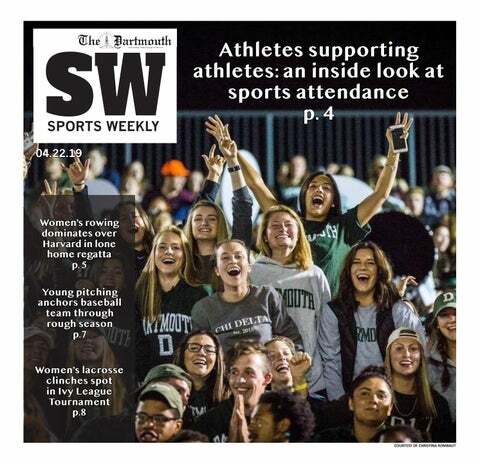 To the Editor: In Ali Rashid's column, "A Legacy of Racism, Sexism," that appeared on March 1 he challenges the administration to "Form a Latino Greek Council and allow for the establishment of a Latina Sorority," as a major way to improve the "cutthroat, racist world" he calls Dartmouth College. My question is, would this solve anything?